Born out of a vision, a single-minded objective that puts service before anything else, The principal objective of TCLP(India) Pvt. Ltd. is to catering to the current needs of modern day logistics solution through its state of the art infrastructure with safe and reliable service quality. TCLP(India) Pvt. Ltd. moved ahead as a leader in the scenario of CFS operators. 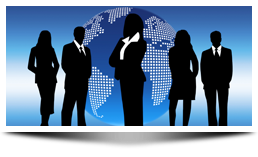 The management boasts of rich and varied experience in the CFS industry. Since its inception, the management has internalized customer support and prompt service as a yard-stick for measuring the success of its operations. Nothing is more important than customers receiving the best possible attention and our ability to offer innovative ideas to assist them. This growth is based on a solid foundation of trust that we enjoy with the trade whether it is a large corporation, small business or a major shipping company. Our ability to pursue the customer's needs continuously and making the same available to their satisfaction has been the single guiding force behind TCLP(India) Pvt. Ltd. spectacular growth. Logistics has long been one of TCLP(India) Pvt. Ltd. strategic focuses and we are committed to creating value for our customers through customized supply chain services in reliability, Safety, Security and cost efficiency. Success requires a tightly managed process that incorporates a seamless system for real time management, dependable intermodal connections, trucking teams, depots and warehousing. With all these capabilities, TCLP(India) Pvt. Ltd. is committed to provide integrated and dependable logistics solutions to meet all business needs. The biggest global challenge is achieving a substantial leap in reliability, speed and cost efficiency.